In 2015, LiveGlam owner Dhar Mann launched his shoestring startup from a tiny 300-sq foot studio apartment he shared with a roommate with only $600 in the bank. Within two years, that $600 investment has turned into an 8-figure business with 2M followers and 50 team members around the world. This is the story of how it happened. Dhar Mann found himself at 30-years-old sharing a tiny studio apartment in Los Angeles with only a few hundred dollars to his name (you can read Dhar Mann’s entrepreneurial story of how he Failed His Way to Success here). With no income and very little money left, Dhar Mann was at the point of leaving Los Angeles and returning to Northern California to move back in with his parents. Then one fortunate day he happened to meet a popular Instagram beauty influencer over lunch. The beauty influencer told stories of how she was traveling all over the world to teach sold-out in-person makeup seminars. Dhar Mann asked the beauty influencer if she had ever thought about teaching the classes online to reach a larger audience and make her classes more accessible. The beauty influencer loved the idea, but said she had no idea how to pull it off. Never having created an online business before and knowing nothing about makeup, Dhar Mann didn’t have much of an idea himself. But as with many great ideas, necessity became the mother of invention, so he offered to partner with the beauty influencer to create the online makeup school together – and she agreed. With only several hundred dollars of starting capital, Dhar Mann knew he had to make very little money go a long way. The first thing he did was to go to Best Buy and purchase two soft box lights and a webcam. That cost him $400, leaving $200 in his bank account. He reached out to his contacts and found someone willing to build a scrappy website for $400. Since he didn’t have enough to cover the entire cost of the website, he asked the developer to take half up front and receive the balance after the website launched. Luckily, the developer agreed and 14 days later the online school was launched. And it was an instant hit. The first day in business the website launched to much fanfare, generating six-figures in revenue with thousands of students joining to learn about makeup artistry. Within a short time, the website became the most subscribed to live online makeup and hair school in the world. The content library today includes over 200 professional makeup classes including collaborations with celebrities and other well-known beauty influencers. With one class, Dhar Mann had gotten much more than just a lesson on contouring. The class was a tutorial on bridal makeup and had the popular beauty influencer Laura G as the model. To complete the bridal makeup look Laura G put on a bridal gown (complete with veil and all!). The class was such a success Dhar Mann, Laura G and the whole team decided to celebrate after the class was over, but there was one slight problem. The only outfit Laura G had was her bridal dress she wore for the class. And Dhar Mann coincidentally happened to be wearing a long buttoned up white shirt. 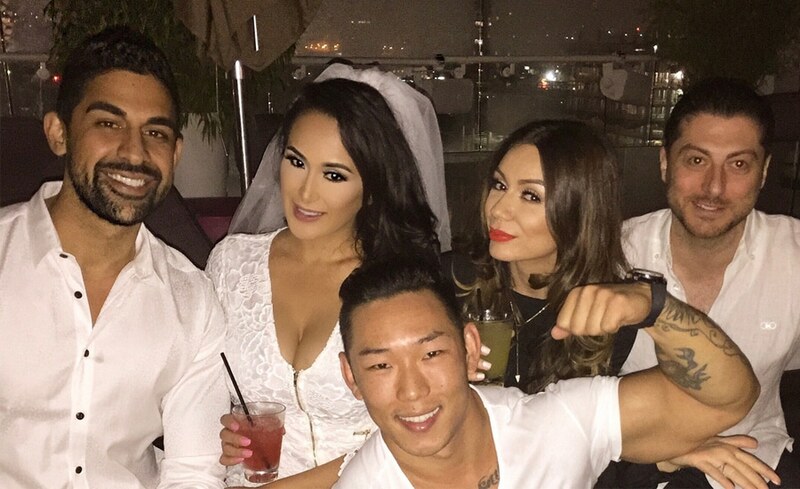 So, wherever they went, everybody had thought that Dhar Mann and Laura G had just gotten married. Even though they had just met, they played along, and had no idea that would be the start of a long-term personal and business relationship together (you can read Dhar Mann and Laura G’s relationship here: Dhar Mann and Laura G: Creating a Lasting Relationship. The first time Dhar Mann and Laura G met. With the business on the up and up and the right girl by his side, Dhar Mann was ready to take things to the next level. The first thing he needed to do was to come up with a name for the business since the online makeup classes had been completely branded after the beauty influencer. At that time the idea was to continue creating live online classes with other makeup artists about glam. Combining those two words, he came up with LiveGlam. Dhar Mann continued to expand the online makeup classes by adding on additional makeup artists and eventually products. One of the most common requests LiveGlam received from students was for physical products to be included with the classes. So, Dhar Mann reached out to various cosmetic brands and most were more than happy to provide products for students. LiveGlam used those products to put inside a free beauty box that would be included for students purchasing an annual membership. That was the beginning of LiveGlam’s transition to a beauty box subscription. The launch of the beauty box with other brands was a massive success. Dhar Mann had to quickly learn how to operate a product subscription which ended up being a lot more complex than online classes. For starters, he realized he was going to need a lot more space. At the time LiveGlam was still operating from Dhar Mann’s apartment (not the original 300-square foot studio apartment, but nevertheless a small 2-bedroom space that he shared with a roommate). The living room would function as LiveGlam’s photo studio for content creation. 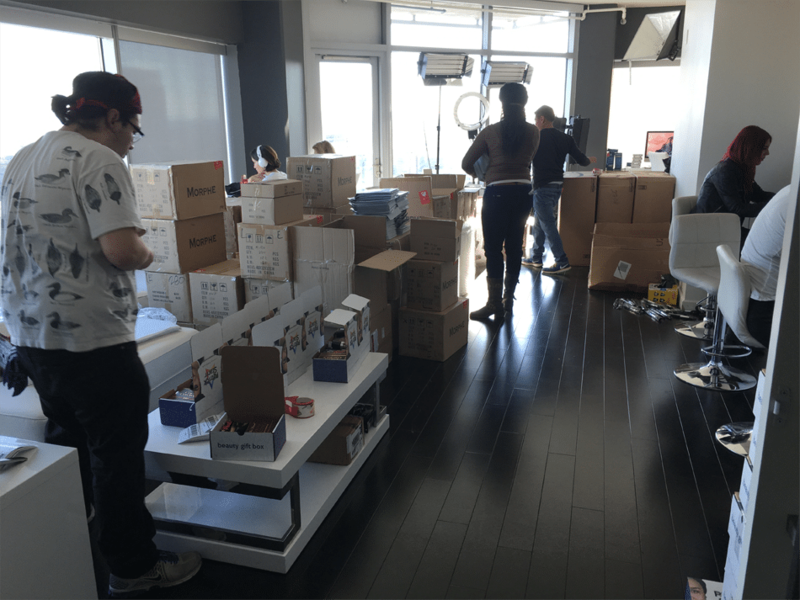 Since there was no space to assemble and ship out all of the beauty boxes, necessity once again being the mother of invention and Dhar Mann used the hallway that led to the elevator from his apartment as the fulfillment center. Fortunately, he had many female neighbors that were more than happy to receive free makeup in exchange for not complaining to the building’s management. LiveGlam’s first office location was in Dhar Mann’s apartment. This whole experience taught Dhar Mann a lot about content creation, subscriptions and beauty boxes (no, despite hosting hundreds of makeup classes he still does not know how to use a makeup brush). By the second year of business, LiveGlam had outgrown Dhar Mann’s apartment, so he leased a dedicated photo studio and separate fulfillment center in downtown Los Angeles. He was again ready to take things to the next level. Seeing the higher interest in product subscriptions over content for members, his initial thought was to continue partnering with other cosmetic brands to launch additional beauty boxes. But he later decided if he really wanted to grow the LiveGlam brand, LiveGlam would have to launch its own line of beauty products. As a guy who has never used makeup, Dhar Mann knew he was in over his head when it came to developing cosmetic products. He knew how to run a business but he didn’t know the first thing when it came to creating desirable makeup. To pull this off, he knew he needed someone who knew a lot about makeup, had incredibly high standards, and, most importantly, someone that he could trust. 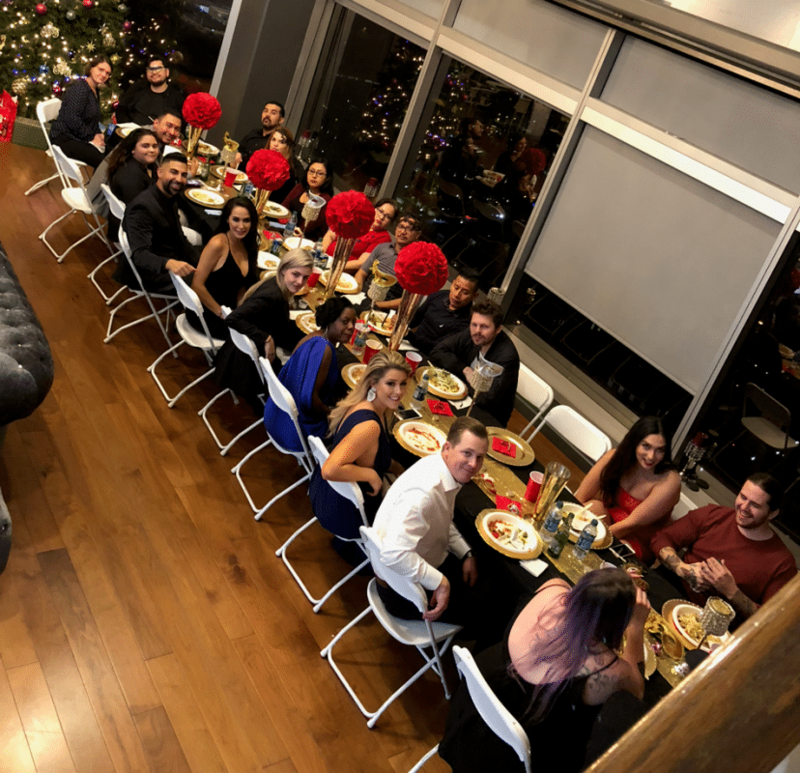 Luckily, he had the perfect person that fit that description – his now-girlfriend, Laura G. He was already routinely asking her for advice (as many entrepreneurs do with their significant others), but now it was time to make it official. Dhar Mann asked Laura G to become the Creative Director at LiveGlam – and she agreed. Learn how they are succeeding as a couple-preneur here! Both of them quickly got to work to create LiveGlam’s first in-house cosmetics line. Dhar Mann and Laura G spent a lot of time brainstorming cosmetic products that could work for a beauty subscription box. In order to keep members interested for the long-run, the products had to be new and exciting each month. At the time, liquid lipsticks were all the rage, so they decided to launch a liquid lipstick club called KissMe (KissMe is now the world’s most subscribed to lipstick club). Members of KissMe get new 3 liquid lipstick colors each month for $19.99. After many months of perfecting formulas, partnering with the best labs and developing exciting colors, KissMe’s launch in April 2017 was a big success. The club grew over 400% in 2018 and has received outstanding reviews from its happy customers. 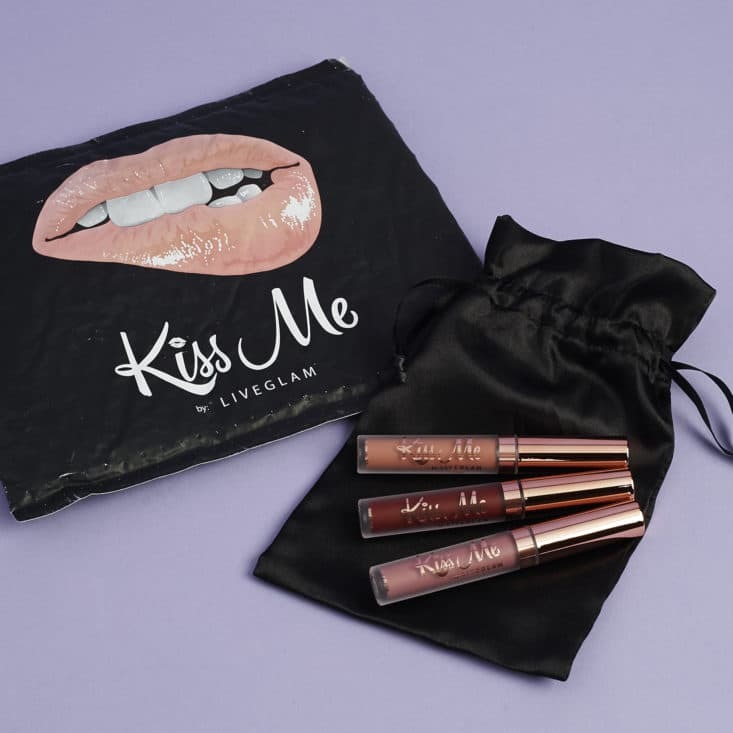 With the success of LiveGlam’s first cosmetics line, KissMe, Dhar Mann and Laura G are now focused on creating a full range of cosmetic products for LiveGlam customers. In 2018, LiveGlam also launched an e-commerce store to give non-members a chance to buy its products. In 2019, LiveGlam plans to launch additional beauty subscription boxes, including ShadowMe, a bi-monthly eye shadow palette club, and also a skincare club (for those wondering, it won’t be called SkinMe). Starting with just $600 in initial capital (all Dhar Mann had at the time), LiveGlam grew to 8-figures in revenue within less than 2-years of its launch. Dhar Mann, Laura G and LiveGlam employees at holiday event. On social media, LiveGlam has collaborated with many top beauty influencers and the #LiveGlamFam is almost 2M followers strong. 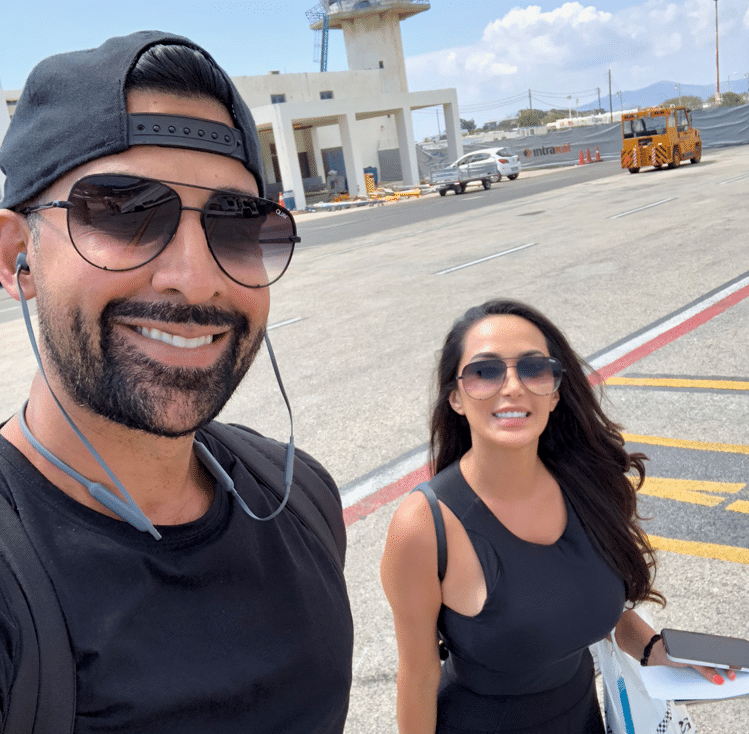 Dhar Mann attributes the key to LiveGlam’s success being his amazing team of 50+ members located in five continents across the world, and to his girlfriend Laura G for believing in him and helping him become the person he is today. You can read about Dhar Mann’s leadership tips here: 6 best leadership tips for business owners. Today, Dhar Mann uses his personal story to create content that motivates others around the world. His life, relationship and business tips have been viewed over 100M times and shared by 3M+ people. In addition to giving back by helping to inspire others, Dhar Mann launched LiveGlam’s Give a Glam initiative which engages in random acts of kindness on a weekly basis to help those in need. 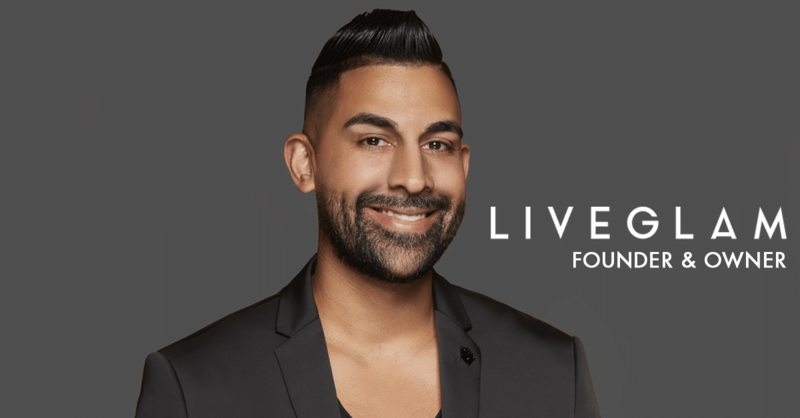 While Dhar Mann is excited about the success and growth of LiveGlam, he knows that ultimate success is to touch as many lives as possible by helping others in their journey. Dhar Mann, the founder of LiveGlam, has seen a lot of ups and downs along the path to success. Through his experiences, he has developed techniques for turning stumbling blocks into building blocks. My mom would be my date. For the past two years, I’ve been sick, and forced to undergo a lot of tests, and they only now found the problem. She’s been my number one supporter through it all: Caring for me when I was so sick I couldn’t get up, making foods that worked with the strict diets the doctors put me on, providing moral support. She deserves to be treated to a fancy dinner and shopping spree because she is a super hero to me. My favorite tip from your article is about being authentic and choosing a partnership that best represents you and what you do. Thank you again for this giveaway opportunity! Amazing story. I have a Liveglam subscription and I always thought Laura was the Founder. Nonetheless, I wish you both much success with the company. I love my lippies, but would like to suggest for berries, Mauves and nudes, I can’t pull off pinks, reds oe very dark colors. My husband and my 19 month old son! I would buy us a couple of pizzas and of course some chocolate cake. The rest of the money I will spend on a careseat, stroller and basic necessities for our baby one the way. We are so blessed and excited that we are pregnant we found out 2-10-19 and due 10-19-19 ♥️, the only way our valentines could get better is this amazing opportunity to win, and relieve some of the financial worries. In regards to Dhar’s article, I follow many influencers and one thing I see a lot is the endorsement of products once and never again, and like he mentioned this goes along with doing it just for the money as well, as someone who looks up to influencers for insight, it’s frustrating to place our trust in an influencer and spend our hard earned money on products that are promoted and then they never use them again. Dhar & Laura, you’re a beautiful and inspiring couple and I wish you many blessings. Thank you both for this opportunity. First of all, all of these pictures of Dhar and Laura are AMAZINGLY BEAUTIFUL! You can definitely feel the love between the two just by looking at the photos 🥰. It’s so inspiring to see other couples like you guys traveling together and doing so many great things!! This giveaway you guys are doing is so amazing! It’s not everyday you see people doing things like this for people, so thank you for being so kind! My favorite tip from Dhar’s article, was “not being authentic”. I think it’s absolutely always important to always stay true to yourself, and not to lose yourself in something that you don’t truly believe in. Also, theres nothing more annoying than someone that is trying to sell a product or promote something that they don’t even use for themselves or like!! Being authentic with yourself is the true key to success! Thank you so much for this giveaway opportunity! Love all your posts, videos, blogs! Such reality. As an only parent, I’ve solely focused on them since their father left 7 years ago. Why: I couldn’t imagine a Valentine’s Day ♥️ without them… Although I know as they get older, it’s inevitable. We haven’t had a vacation in 2 years. I love your blog. Being true to a product or brand that you promote is key to being believable. Woow so amazing! 🙏🏼😩 May god continúe giving you more blessings. First thank you 🙏🏼 For giving back to us you guys are what most people wish to be such a wonderful loving & perfect couple ❤️ I would love to win this opportunity because I have exactly a year I don’t leave my home because I suffer from anxiety and depression and it’s been really hard for me. I would love to have a valintines here with my husband I thank him and my family there by my side it would mean so much to me since I wish I could go out! I know nothing is forever and I know when I least expect my life will continue to be the same. Just know that I’m home i would love to share a special valentine with my husband. 🙏🏼Thank you sooo soo much ❤️ For even taking the time to give back to the people who truly look up to both of you guys.